As Captain, Hektor, and Pilsner are happy to demonstrate. 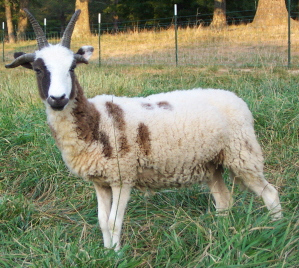 Belton is an evenly fused four horned ram. 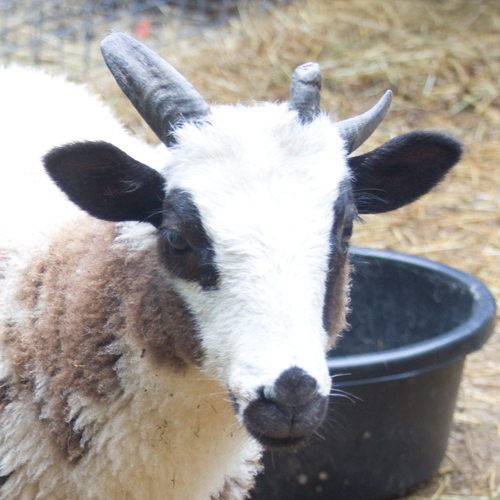 He looked like a two horned ram when he was born. 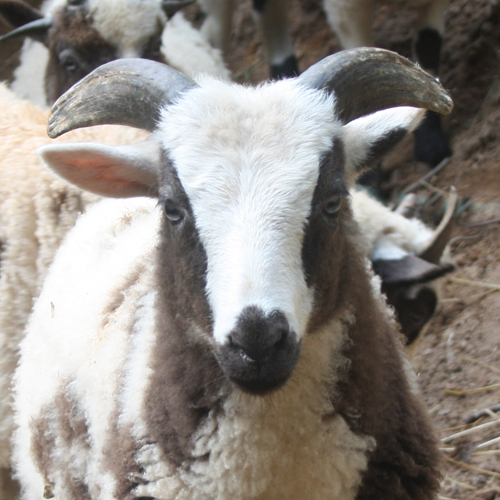 As his horns grew, the seam became visible and is apparent in this photo. 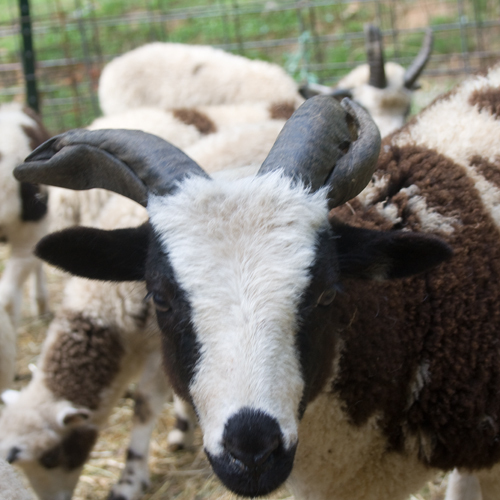 His horns are taking a very wide sweep as often happens with evenly fused four horned sheep. 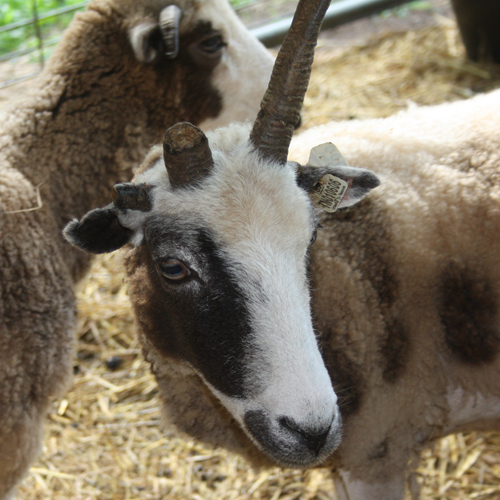 Patrick is also a fused four horned, but his horns were separate at birth and are just now becoming fully fused. 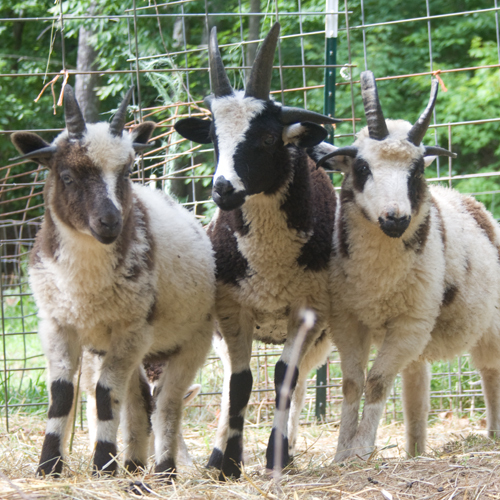 It seems that when horns fuse later, the direction is not always as wideswept as when they are fused at birth. One horn (usually the top) tends to pull the lateral in whatever direction it’s heading, rather than the two horns pulling evenly as when they are fused at birth. When the horns begin to fuse seems to play a part. This is just a bit of speculation/observation/WAG (not SWAG, as there is no science in my guess). And then we have an easy one – 1 + 1 = 2. Hickory is a solid two horned. Sometimes 2 + 3 = 3. Cindra is fused on one side. She appears 3 horned, but is actually 5 horned. Sometimes experience contrives to turn 2 + 2 into 1? 1 1/2? 1 1/8? Elsa managed to tear off both laterals when she was gone by getting caught in a hay rack. I take responsibility for breaking the right top 😦 At nine years old, she still shows some horn regrowth. when 2 plus 2 equaled 4. How interesting – and amusing/adorable! Thanks for posting. Good post Linda. Do you think those lower horns on the lambs in the top photo are going to sweep down and forward? I have a lot that sweep back towards the neck. I’d like to change that. 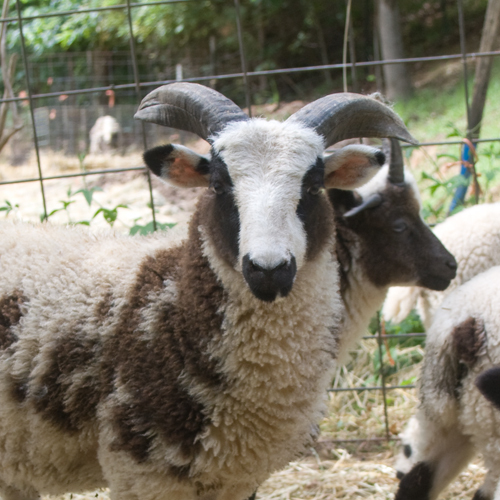 The middle ram has a right lateral (which you can’t see in the photo) that is taking a turn back. The other five laterals on these boys are still growing more outward than backward, so I have hopes they will stay away from the necks. You know how fast they can change, though!